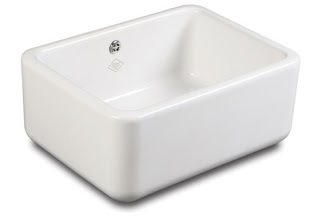 Belfast Sink or Butler Sink: What is the difference? Butler sink or Belfast sink what is it that makes these sinks different. Basically both are in fact Butler sinks. That is to say that both sinks were designed to be used below stairs in the Butler’s Pantry. However the Belfast sink has the benefit of a weir overflow and therein lays the difference. The weir overflow found in the Belfast sink was omitted from the English/London style Butler for very practical reasons. Belfast had an easy to access and plentiful water supply whereas London for instance, built on deep clay, required the sinking of deep wells to access clean water supplies so the wasting water was actively discouraged. 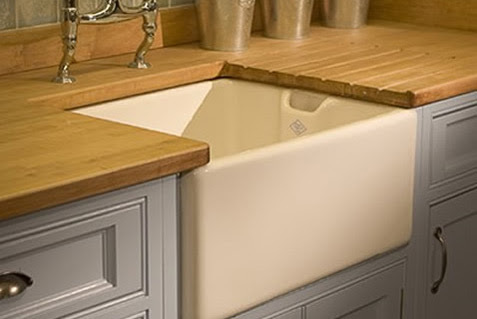 Hence the deliberate omission of an overflow feature in the traditional English Butler sink. With modern sanitation and easy access to clean water it is no longer necessary to omit an overflow facility from the Butler so Shaws have placed a discreet overflow towards the rear of the sink. 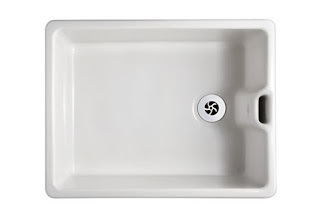 This ensures that the traditional style of the Butler is maintained but with the benefit of a sink overflow should you forget and leave the taps running.